Loving Pablo (mixed bag): Javier Bardem stars as Pablo Escobar and Penelope Cruz plays a journalist who falls for him in this lackluster adaptation that can’t possibly compare to the recent and far superior depiction of Escobar’s story in Netflix’s Narcos. Now playing at Village East Cinema. Read my review from yesterday. 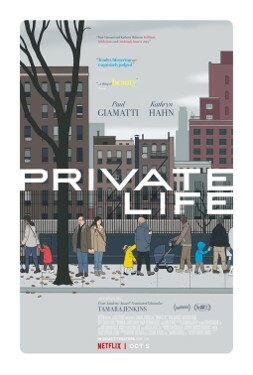 Private Life (recommended): Paul Giamatti and Kathryn Hahn star in this comedic drama from director Tamara Jenkins about infertility, which features a breakout performance from Kayli Carter and a worthwhile look at the struggle to build a family. Now playing at Landmark 57 West and the IFC Center. Also available on Netflix. 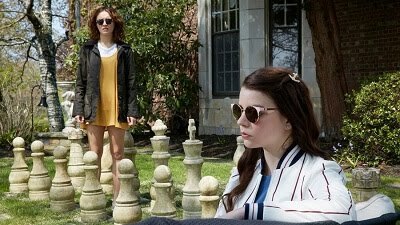 Read my review from Sundance. Breath (highly recommended): Simon Baker stars in and directs this visually incredible story of two young surfers on the Western coast of Australia in the 1970s who get to experience glimpses of adulthood through their interactions with a former professional surfer. The Catcher Was a Spy (recommended): Paul Rudd stars as a real-life Jewish baseball player sent to assassinate a Nazi target. It’s a cool premise which works well enough as a film, even if it feels like this story is a bit too isolated from the real world. 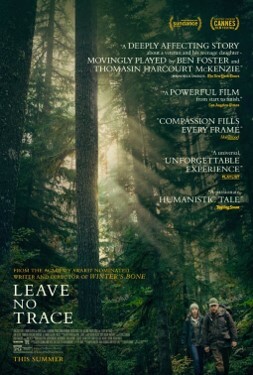 Leave No Trace (highly recommended): Debra Granik helms this terrific film worthy of favorable comparison to her previous success, “Winter’s Bone,” featuring exceptional performances from Ben Foster and breakout star Thomasin McKenzie as a father and daughter set on living away from the world in the wilderness. The 12th Man (recommended): This is a different kind of war epic, one that follows a single survivor of a failed subversive mission against the Nazis who has to outlast the harsh weather of Scandinavia and outrun a ruthless Nazi commander intent on finding him. It’s a decent if long showcase that features some intriguing moments. Anger Management (recommended): Jack Nicholson and Adam Sandler were a decent pair for this decent enough comedy about people trying to deal with their anger, offering some laughs and relatively sufficient entertainment. Billy Madison (mixed bag): Most true Adam Sandler fans love one of his earliest hits, which is far from his most intellectual work but easily one of the most quotable. 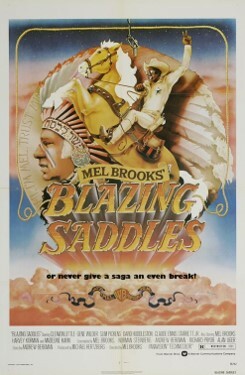 Blazing Saddles (highly recommended): It’s hard to find a classic comedy as exceptional – and exceptionally offensive – as this 1974 film from Mel Brooks, featuring a tremendous lead performance from Cleavon Little and so much of what has inspired modern-day comedy since. Copycat (mixed bag): I’m a huge fan of serial killer thrillers when done right, but this 1995 effort starring Sigourney Weaver didn’t quite do it for me. There are some worthwhile moments but its disturbing nature isn’t quite worth the trip. Mystic River (recommended): Sean Penn and Tim Robbins both won Oscars for their portrayal of Boston natives caught up in a miserable, unsettling situation that causes them both to question who they are. Poseidon (recommended): I don’t remember much about this 2006 remake of the 1972 adventure film other than that it starred a young Emmy Rossum and was actually pretty entertaining, if admittedly and expectedly over-the-top. The Shining (recommended): I had the distinct experience of watching this famed thriller at the Mohonk Mountain House, which wasn’t the basis for the film but easily could have been, and though I’m no fan of horror, I can admit that this film is unique and very worthwhile to anyone who wants to be taken for a wild and often terrifying ride. Movie with Abe: Can You Ever Forgive Me?